MegaSaw, which specialises in concrete cutting,has been operating in Melbourne for more than twenty years. We provide high-quality services relating to concrete cutting, grinding, and drilling in and around Melbourne, providing community members with high-quality and customised solutions. We strive to provide safe, fast, affordable, and reliable services to all our clients, regardless of the whether theirs is a commercial or residential project. There is no big or small project for us. We accord each and every project the seriousness it deserves. 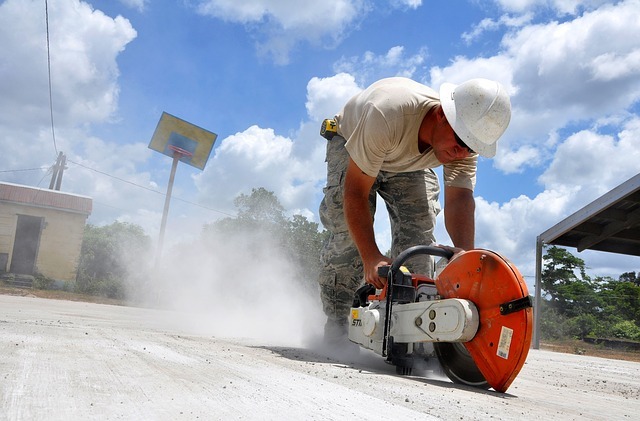 It is not only our values and aim to please our clients that make us everyone’s go-to concrete cutting company. It is also our vast experience in the business. We have been operating for over 20 years. Thus, as a company, we bear unprecedented and valuable hands-on experience in concrete cutting. We are suitably placed to bring to fruition any concrete cutting Hotham Hill project our clients may have for us in concrete cutting, drilling and sawing. We also operate a wide variety of specialty machinery and equipment to ensure a hassle-free experience for our clients. Furthermore, we take extra care in ensuring we have the right technological capability to finish any and every concrete cutting Hotham Hill job that our clients give us. This translates to fast and efficient delivery of services and completion of projects. Therefore, you can expect MegaSaw personnel to meet set deadlines when you hire us. You can expect us to respect the environment around your project whilst at the same time making concerted efforts to avert risks as well as negate hazards associated with concrete cutting. We believe that it is paramount for the present generation to preserve the environment for future generations. That is why we reuse and recycle as much as possible.